We use while + subject + verb to talk about two things that happen at the same time. The events don’t have to continue for the same length of time, but they can. 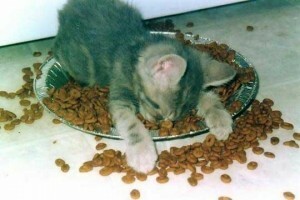 The kitten fell asleep while eating its dinner. • The phone rang while I was watching TV. • I read a book while Josie listened to the radio. Remember: While for two actions at the same time. No time period with during. While for two actions at the same time. No time period with during. Some of these sentences are correct. Some of these sentences are wrong. Tell me which. I met a lot of interesting people while I was in China. CORRECT. I met a lot of interesting people while I was in China. While + subject (I) + verb (was) to talk about two things that happen at the same time (met / China). I met a lot of interesting people during my trip in China. CORRECT. I met a lot of interesting people during my trip in China. During + noun (my trip) to say when something happens (in China). We met a lot of interesting people during two weeks in The Netherlands. WRONG. We met a lot of interesting people during two weeks in The Netherlands. No time period with during. CORRECT. We met a lot of interesting people during our trip to The Netherlands. While my mother was seeing the doctor I read a book. CORRECT. While my mother was seeing the doctor, I read a book. While + subject (my mother) + verb (was seeing) to talk about two things that happen at the same time (mother seeing the doctor / I read a book). During my mother’s visit to the doctor I read a book. CORRECT. During my mother’s visit to the doctor I read a book. I had been away for many, many years. During that time a lot had changed. CORRECT. I had been away for many, many years. During that time a lot had changed. I woke up five times during the night. CORRECT. I woke up five times during the night. The phone rang five times during one hour. WRONG. The phone rang five times during one hour. CORRECT. The phone rang five times in one hour. 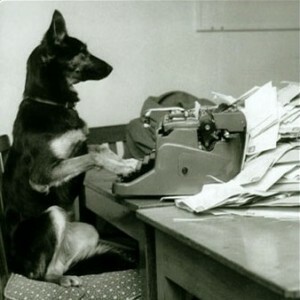 While writing his first novel Rex used his father’s old typewriter. While waiting for a bus he fell asleep.